Emergency & Crisis Management Case Study with Fluidmaster. 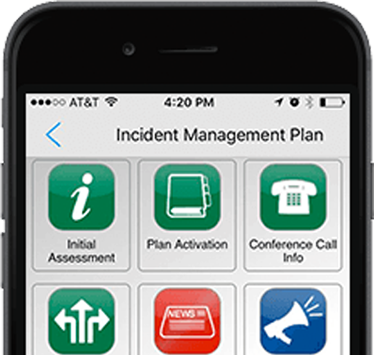 Fluidmaster used the in Case of Crisis app as an easy way to create reliable access to their plans. "We didn't need help building plans. We were looking for an easy way to create reliable access to the plans." Founded in 1957 by Adolf Schoepe, Fluidmaster pioneered toilet valve technology and is a common name in today’s DIY and wholesale market. 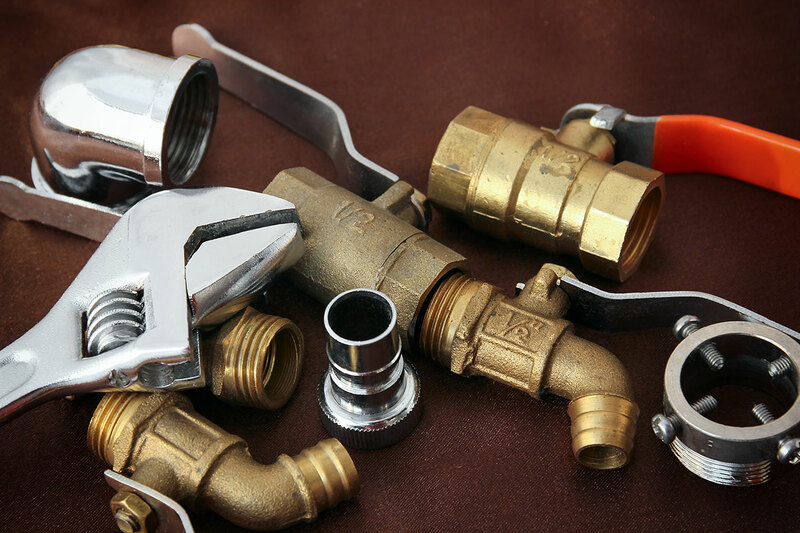 It manufactures 100 million toilet repair products annually and sells more toilet tank replacement valves than any other company in the world. Headquartered in San Juan Capistrano, California, where it employs about 120 people, Fluidmaster operates facilities on four continents. The files were enormous documents, often requiring a prolonged search to find specific information. If the network was down, SharePoint would be inaccessible. If the power was out, the computers needed to call up Word and Excel documents might not be available. Updating the binders and flash drives required too much time and could be prone to executives having obsolete information. Furthermore, these media are insecure; a lost binder or flash drive could possibly expose sensitive company info and employee contact data. Deborah Wright, Senior Program Coordinator for Fluidmaster, determined that corporate required a more reliable, more accessible solution than it was currently using. She looked into business continuity-specific software but felt those platforms were too much for her midsized company. After all, Fluidmaster had the plans in place; it just needed a solution to access and distribute those plans. Wright turned to RockDove Solutions’ In Case of Crisis application for the answer to her company’s dilemma. 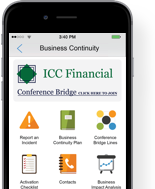 Wright was introduced to the In Case of Crisis app while attending a business continuity conference. She was immediately impressed, and after a sales call on which an agent described more of the solution’s features, she decided it was the perfect choice for Fluidmaster’s needs. Before implementation, Wright made sure the In Case of Crisis app would comply with IT in terms of the security. RockDove Solutions provided information that addressed IT’s concerns, which contributed to the smooth rollout Fluidmaster enjoyed. Fluidmaster wanted two plans that their employees could access via In Case of Crisis: a business continuity plan for its incident management team still using flash drives and binders, and an emergency response plan for every worker in its headquarters. A RockDove Solutions’ Client Success Manager, Nicole Britt, trained Wright on the ins and outs of the solution. When Wright was ready to launch the solution with Fluidmaster headquarters employees, she provided instruction to the users to help them download the app. "The solution is unique in that you are able to create your plan using the same type of icon that employees are used to seeing on their devices." Fluidmaster’s incident management team, comprised of executives across various departments, immediately embraced the In Case of Crisis solution. 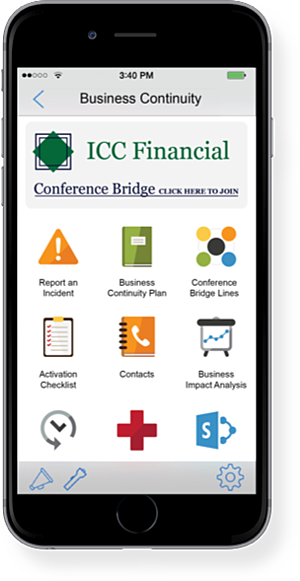 The application included easy-to-tap icons that could take a user to the appropriate parts of the business continuity and emergency response plans in an instant. This was far more efficient than plugging in a flash drive and scrolling through files—important when a crisis happens and time is of the essence. Wright and the incident management team also liked how In Case of Crisis is accessible on smartphones and available even if Wi-Fi or cell phone towers are down. Employees might not be able to get a signal on their phones (a real concern in earthquake-prone California), but with the app, they won’t need one—all the plan information will already be at their fingertips. “I may not have gone with the solution if they told us we had to access the cloud,” Wright said. Since adopting RockDove Solutions’ mobile application, Wright and her coworkers are confident that if a major situation arises, In Case of Crisis will help them handle whatever comes their way.